Includes David Lawrence, Isle of Gramarye, Face Pots, and House of Lords. Harmony Kingdom, Wee Forest Folk, Pipka, and Hummel products. Ebony Visions, Harmony Kingdom, Annie Lee, Just The Right Shoe, Take A Seat, and Brenda Joy Smith. Includes Harmony Kingdom, Pocket Dragons, Tim Wulf sculpture, cow parades and calico kittens. A Canadian retailer featuring Boyds Bears, Harmony Kingdom, Cherished Teddies, Dept 56, Hummels and Precious Moments. Fine gifts and collectibles such as Charming Tails, Byers Choice, Boyds Bears, Dept 56, and Harmony Kingdom. Collectibles and gifts including Lladro, Armani, Harmony Kingdom, Dept. 56, Hummel, Swarovski Crystal, and Cow Parade. Selection of Boyds Bears, Cherished Teddies, Precious Moments, Harmony Kingdom, Muffy Vanderbear,and Marys Moo Moos. Collectible figurines include Department 56, Harmony Kingdom, Boyds, Just the Right Shoe, and Lefton Lighthouses. Also offers Ty products and Holy Bears. Harmony Kingdom, Daddys Long Legs, Boyds Bears, Kiddie Car Classics, Department 56, Enesco, Beanie Babies, and Just the Right Shoe. Features collectibles including Lladro, Armani, Harmony Kingdom, Dept. 56, Hummel, Swarovski Crystal, Cow Parade, and gifts. Product lines include: Harmony Kingdom, Swarovski, David Winter Cottages, Krystonia, and Just the Right Shoe. Product lines include Hummels, Disney Classics, Cherished Teddies, Lladro, Steiff and Harmony Kingdom. Collectibles include David Winter, Harmony Kingdom, Greenwich Workshop, and Harbour Lights. Precious Moments, Cherished Teddies, Department 56, Harmony Kingdom, Dreamsicles, Boyds Bears, Wee Forest Folk, Pocket Dragons, Hummels, Harbour Lights, Disney, and Charming Tails. Offer Harmony Kingdom collectible boxes, Cow Parade, Just the Right Shoe, Kelvin Chen teapots, Fairykins, dragons, fairy dolls, flags, and figurines. Includes message board. Canadian Cherished Retailer of Cherished Teddies, Precious Moments, Harmony Kingdom, Charming Tails, and Boyds Bears. Products includes Enchantica, Krystonia, Harmony Kingdom, All Gods Children, Calico Kittens, Ebony Visions, Boyd Bears, Dreamsicles, Emmett Kelly, Snowbabies, David Winter, Sanicast, United Design, and Mill Creek. Barbershop harmony music CDs, cassette tapes, videos, manuals, songbooks, apparel, accessories, and gifts. Shop online for collectibles and figurines. Figurines include Mary Moo Moo, Harmony Kingdom, Crinkle Claus, American Heroes, and Calico Kittens. Authorized NALED collectibles retailer. Carries limited edition and exclusive items. Supplying web collars and leads. Harmony and spirituality through digital fine art. Premium hand picked rare whole leaf teas. Colorful lanterns hand made in Seattle. Providing bamboo floors. Installation available by licensed contractor. Harmony collectibles, fine art prints and beanie babies. Handcrafted ponderosa pine log beds, tables, and entertainment centers. If the business hours of Mimas of Warwick in may vary on holidays like Valentine’s Day, Washington’s Birthday, St. Patrick’s Day, Easter, Easter eve and Mother’s day. We display standard opening hours and price ranges in our profile site. 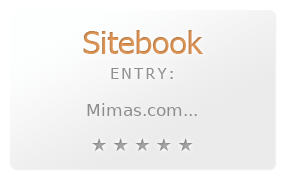 We recommend to check out mimas.com for further information. You can also search for Alternatives for mimas.com on our Review Site Sitebook.org All trademarks are the property of their respective owners. If we should delete this entry, please send us a short E-Mail.